Much like the TCM Top Twelve (which I still need to create a banner for) I’m creating a new running feature. I have a pretty hefty Netflix queue (at one point I’d hit the maximum of 500 movies…I didn’t even know Netflix HAD a maximum) and figured I’d keep you up to date on what I have in the pipeline. Now, this feature will be sporadic as it generally takes me a bit to actually get through 10 Netflix movies what with the multitude of films I have on my DVR, Netflix Watch Instantly, and whatnot (some would say I have too many options). Not to mention this will allow me to let you in on what television shows I’m watching. The rules are that I’ll be listing the ten movies/television shows that are in my queue. If more than one slot is a Disc 2 or so on it’ll only fill one slot. So here’s the inaugural entry in Kristen’s Netflix Top 10! This actually comprises two slots but we’ll be counting it as one. Yes, I’ve watched seasons 1-5 all courtesy of Netflix and it’s only taken me 18 years. I’d seen the first season of TFC (when I first got Netflix it was the first thing I got) and had decided not to finish the series, something that happens to me a lot. You’ll see a myriad of unfinished shows throughout this feature. I finally decided to finish the series and now am on the last two seasons. Oddly, the series has had definite highs and lows with season 2 being good, seasons 3-4 being okay, and season 5 really surprising me. Since there’s only 3 discs in season 6 I’m reserving judgement till I can see the season as a whole. The show is cheesy but it’s always fun to see the actors they got for this series and I recommend watching it. 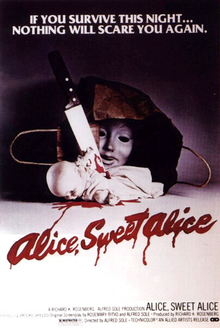 I’ve had this on my Netflix for a while after seeing it on Bravo’s 100 Scariest Movie Moments. According to the Netflix synopsis the movie focuses on two sisters, one of whom is murdered and the other is a suspect. 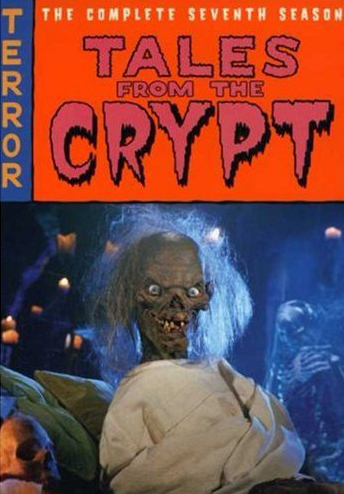 It also has Brooke Shields and supposedly the killer rocks a truly creepy mask. Expect to see a review on this once I actually get to it. 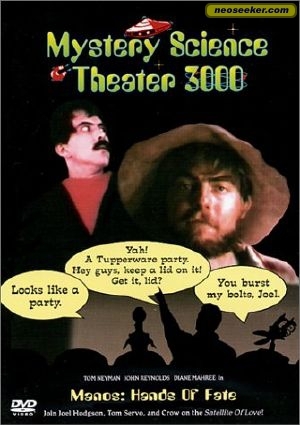 I’ve been watching a lot of Mystery Science Theater 3000 and unfortunately this one is no longer on Instantly. I’ve heard stories about Manos: The Hands of Fate. I’ve heard it’s the worst movie ever made and that it makes for the funniest episode of Mystery Science Theater so it moved all the way to the top of the queue. 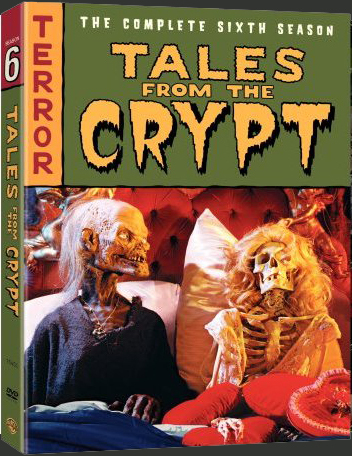 This is the final season of Tales From the Crypt and essentially the production moved to England. I’ll admit, this is the season I really wanted to see and I could have skipped to it but didn’t. It’s filled to the gills with British actors I love including Daniel Craig, Ewan McGregor, and Anna Friel. There’s two things you should know about me: I love musicals and I love Bob Fosse. All of that and I’ve never seen Damn Yankees in film or on stage. Sure I know the famous song “Whatever Lola Wants” but that’s it (I know, a shame!). You may be asking what the hell Bob Fosse has to do with this? Well the 1958 film version of Damn Yankees features Fosse’s wife Gwen Verdon, an iconic stage actress so I need to watch this immediately! 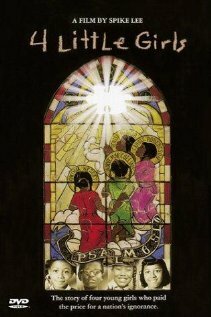 I saw about fifteen minutes of this Spike Lee documentary in a film class and was really sad we couldn’t finish it. 4 Little Girls tells of the infamous Alabama church bombing that claimed the lives of four African-American girls and was the turning point in the struggle for Civil Rights. How fitting that I’m finishing up a Vietnam class that looked at the Civil Right struggle as well. My documentary habits are certainly becoming more militant haha. I’m generally open to any recommendation in the horror genre. Other genres, I get picky but if someone tells me “this movie has a new take on [insert something cool]” I’ll give it a try. And if the movie is foreign then I’m definitely in. There’s definite levels of horror and if you’re watching French horror films you’ve hit the upper echelons because French horror films are F-ed up! I’ve only seen a few and after watching Martyrs I had to exclaim “What the hell is going on in France?” I’m taking a shot with Frontiers as I’ve heard it’s amazing not to mention the synopsis references ne0-Nazis…you don’t get many horror films today about them. The last horror film with a Nazi slant was Dead Snow which I love, hopefully this delivers. I used to love Ryan Murphy…until the last season of Glee ruined any goodwill established. I loved Popular when it first aired on the CW and renting this is just to remind me that Murphy CAN make good television when he wants. Yes another musical, told you I loved them. I generally run out and watch these filmed versions of the live stage shows. I own the Les Mis 25th Anniversary and STILL need to get Phantom of the Opera (Redbox has that thankfully). 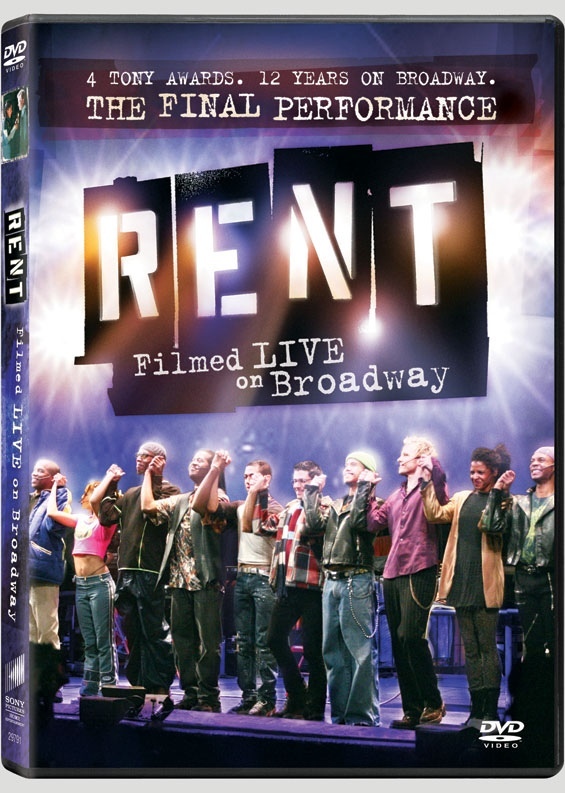 I missed Rent: The Final Performance in theaters and I’m finally getting it. I was lucky to see Anthony Rapp and Adam Pascal perform Rent and wow, that was a production. Sorry, my inner theater geek is showing. I had originally planned on watching Bell, Book, and Candle last year but sadly my DVR up and died on me and it was lost to the ether so this is another film that’s been here for a while. 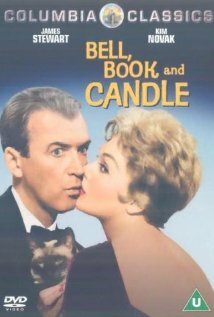 I generally shy away from Jimmy Stewart movies (there’s just something about him that doesn’t connect with me) but this is considered a classic comedy. That and I love witch movies and this seems to be in the vein of the Veronica Lake film I Married a Witch. That’s the first of Kristen’s Netflix Top 10. Let me know if you like the feature and want to see it come back, and also…what’s in your Netflix (Redbox, Blockbuster, Hulu, etc) Top 10? Ahhh, I wish Manos – The Hands of Fate was on Instant Watch. It’s one of the few “so bad it’s good” movies I still need to see. I love this idea- listing Netflix selections. And those are all really fun selections (well… the ones I can vouch for). Will you be writing about what you see? There’s a lot on here I’m curious about. The movies definitely. I’m not sure how interested fans would be about my television choices but I’m open to reviewing them if there’s an interest. That’s my fear, that it’ll take a long time to get through ten haha. Thanks for reading. Interesting concept. I’ve actually seen none of those, except for most of the first season of Popular. I watched Glee originally because it was from the same guy who did that show (although I never watched the second season of it). Likewise, I haven’t watched the latest season of Glee. Oh the things I could write about Glee. I’m with it until the end of this season and I’m finally jumping ship. I did love Popular but it seems to be the last good thing Ryan Murphy created.